Our team of child and adolescent psychologists and the counselling and therapy we offer. There are currently 19 psychologists who work at Developing Minds Psychology and Education and 8 members of our admin team. We all love working with and specialise in children, teenagers and their families. All of our psychologists are very experienced, with a minimum of 6 and an average of 12 years of experience working with children, teens and their families. We are not "solo practitioners" and instead work as a team and in consultation with each other. We train and update each other on skill development on a weekly to monthly basis, consult each other on difficult situations and share our learnings and skills. Below is some information about each of our psychologists. You might see that some of our psychologists have special interests in some areas, however we all work with children and teens who are experiencing anxiety, sadness, problems with anger, managing friendships, relationships and study. Kirrilie is a clinical Psychologist, member of the Australian Psychological Society and of the College of Clinical Psychologists. She has a First Class psychology Honours degree and a Masters degree in Clinical psychology, both awarded from Flinders University of SA. She has worked as a psychologist for 22 years in many different settings, with a variety of client groups. Today Kirrilie is the director of Developing Minds Psychology and provides supervision to the team of child and adolescent psychologists who work with her there. She also provides seminars and training for young people, teachers, health professionals and schools around Australia. Kirrilie has received a number of awards, grants and prizes for her speaking, research and consultancy work. She is regularly consulted by print, radio and TV media in relation to psychological issues and has numerous articles published in a variety of newspapers and journals. She has written three books about and for young people, is the developer of the online program Calm Kid Central, and is the SA convenor of the Child, Adolescent and Family Interest group for the SA chapter of the Australian Psychological Society. Kirrilie has also been invited by the Australian Psychological Society to be interviewed for the Australian "InPsych" magazine about Developing Minds, and to be a guest on a webinar series about Primary Health Network funding. She is an an APHRA approved psychologist supervisor and has presented to other psychologists at several APS national conferences, and state clinical college workshops. Sonia is a clinical Psychologist and an associate member of the Australian Psychological Society. She has a Masters degree in Clinical Psychology from the University of Western Sydney and also has a Post-Graduate Diploma in Sports Psychology. Sonia has worked as a psychologist for over twelve years in many different settings and with a variety of client groups. She has been a member of a multi disciplinary research team developing and implementing treatment for psychostimulant use problems, which has had three research articles published in a variety of journals. She has training in mediation & conflict resolution. She has also been an accredited trainer for 'beyondblue: The national depression and anxiety initiative' for two of its awareness, early intervention and prevention programs. For the last 10 years, Sonia has worked particularly with children, teens and young adults. She has worked with young people with relationship difficulties,school problems, anxiety, challenging behaviour, low confidence, depression and substance abuse, among many other issues. Sonia has conducted research in the area of emotional intelligence, coping and academic performance. She has also delivered seminars to parents, teachers and health care professionals about supporting young people who are going through difficult times. Sonia is the Team Supervisor at Wayville and provides clinical and professional supervision and crisis supervision to the other Developing Minds psychologists at Wayville. Penny is a clinical Psychologist and a full member of the Australian Psychological Society. She has a Psychology Honours degree from Flinders University and a Masters degree in Clinical Psychology from the University of Adelaide. During her studies, Penny was conferred the KPMG Prize for Psychology and published research on psychological outcomes for children in various care arrangements. Penny has always been passionate about working with young people and their families and has a talent for connecting with young people. She has worked as a psychologist since 2004 in both the private sector and a variety of government settings including Child Protection, Community Health and Education. Penny’s roles have included providing therapy and conducting assessments with kids and teens and providing professional development and support for families, teachers and health care workers. Penny draws on a range of evidence-based frameworks and adapts her approaches to meet the needs of clients and their families. However, her work most often draws from Acceptance and Commitment Therapy (ACT) and Attachment Theory (for example Circle of Security©). Penny aims to help children and young people understand that their wide ranging emotions are all part of what makes them human but to also equip them with skills to better manage their tricky emotions (e.g. anxiety, depression, sadness, anger) and adapt their behaviour (e.g. conflict management, social skills, avoidance, challenging behaviour) to lead a full and rewarding life despite any hardship they experience. In her work with families, she works to support parents and caregivers to better understand and be attuned to their child’s needs in order to more effectively support their emotional and behavioural development. Although she loves working with all age groups, Penny has a particular interest in working with young children and their families and has many years of experience working in Early Childhood Settings. Penny is also trained to run Circle of Security© – Parenting Groups . Taryn is a clinical Psychologist, a full member of the Australian Psychological Society, and an associate member of the College of Clinical Psychologists. She has a Psychology Honours degree from Adelaide University and a Masters degree in Clinical Psychology from James Cook University. She has worked as a Psychologist for thirteen years in a variety of settings, with a variety of client groups. Taryn takes an eclectic approach as a Clinical Psychologist, and has worked in specialist settings with adults and young people. She works particularly with children and young people, and has experience in working with separation anxiety, phobias, mutism, behaviour problems, substance use, and friendship difficulties among many other issues. Taryn is the clinical programs and systems manager for Developing Minds and develops and monitors systems to make sure the practice complies with all relevant funding body (including NDIS, Medicare and others) requirements. Sarah is a clinical Psychologist and a full member of the Australian Psychological Society. She has a First Class Honours degree and a Masters degree in Clinical Psychology, both awarded from the University of Adelaide. She has worked as a psychologist in a range of settings, with a variety of client groups. Sarah takes an eclectic approach as a Psychologist and has worked in specialist settings with children, adolescents and parents. She has experience working with children and teens with anxiety and stress, depression, eating disturbances, problem behaviours, traumatic experiences, autistic spectrum disorders, substance use. Sarah has also worked with children and teens with chronic illnesses and disabilities. Sarah has been involved in facilitating group work with people with depression, and with emotional, social and life skill building groups with adolescents. Sarah has been conferred with a number of awards and scholarships, including the College of Clinical Psychologists (SA) Prize in 2009, an Australian Postgraduate Coursework Scholarship in 2007 and 2008, and a Central Northern Adelaide Health Service Masters of Psychology (Clinical) Scholarship in 2008. She has also published three articles, two in leading international journals, on the diagnosis of bulimia nervosa and measuring intelligence in children. Jacinda is a clinical Psychologist and a Full Member of the Australian Psychological Society (APS) College of Clinical Psychologists. She has a Masters Degree in Clinical Psychology and a PhD from Flinders University. Jacinda has worked as a psychologist over the last eleven years working in both the public and private sectors. She worked as a psychologist with the Department for Education and Child Development (DECD) for many years and therefore has extensive knowledge in childhood development and the assessment and treatment of learning difficulties, social, emotional and behavioural issues. Within DECD, Jacinda provided support to teachers, SSO's and families about how to support kids with extra emotional/social/learning needs at school and in the classroom. Jacinda has also worked previously as a psychologist within an Adelaide R-12 school and as well as providing support to students, provided significant numbers of hours of consultation to school staff and parents about how to manage student well being within a classroom and home setting. As well as working within schools and the education department, Jacinda has worked as a research psychologist with the Women's and Children's hospital within the neonatal department and the child nutrition team, and also for sleep clinics at Flinders University and the Repat Sleep clinic. Jacinda also has experience working within the drug and alcohol area, adult mental health and child health care settings. Through her PhD research, she is also knowledgeable in the areas of caregiving, coping, illness and grief and loss. Finally, Jacinda has also had many years of working with children and teens individually in a therapy setting. As a result, she is passionate about helping young people who are finding life difficult because of learning issues, eating problems, sleep difficulties, family and relationship concerns, anxiety, depression, issues related to gender and sexuality and other issues. She is keen to help people learn ways of managing such issues so that they don’t get in the way of living the life they want. Jacinda’s therapeutic approach is eclectic and adapted to the individual client and their presenting concerns. Acceptance and Commitment Therapy (ACT) and Cognitive Behavioural Therapy (CBT) feature predominantly in her work. Michelle is a clinical Psychologist and a full member of the Australian Psychological Society (APS) and the APS College of Clinical Psychologists. She has a Psychology Honours degree from Flinders University and a Masters degree in Clinical Psychology from the University of South Australia. Michelle has worked as a psychologist for the past 15 years and has specialised in working with children, young people and their families. Her knowledge and experience has been gained through work in the areas of disability, health, mental health and education. Michelle draws on a range of evidence-based therapeutic approaches in her work including Acceptance and Commitment Therapy (ACT) and Cognitive Behavioural Therapy (CBT). She also uses her knowledge of child development, attachment theory and positive behaviour support interventions. Michelle also has experience in facilitating a range of therapeutic groups for children and families. These have included social skills groups and groups to strengthen social connections for children and young people with a disability as well as therapeutic groups for siblings of children and young people with a disability. She has also been involved in facilitating parent training groups and parent groups addressing grief and disability. Michelle has experience with such issues as anxiety, depression, grief and loss, developmental disabilities (including autism spectrum disorders), learning disorders, friendship and relationship difficulties. Michelle is passionate about working alongside children, young people and their families, to develop their own strengths, skills and strategies so these challenges have much less impact on them and so they can focus on the things in life that are most meaningful to them. Megan is a clinical Psychologist and a full member of the Australian Psychological Society. She has a First Class Honours degree awarded from Flinders University of South Australia and a Masters degree in Clinical Psychology awarded from the University of Adelaide. Megan has experience working with children and young people (as well as their carers or parents) who present with a range of social, emotional and behavioural difficulties in the home and school setting. She has worked extensively within the child protection setting to assist young people to overcome various trauma and attachment-related difficulties including conduct problems, sexualised behaviour, symptoms of anxiety and depression and difficulty managing change. Megan utilises a range of evidence-based therapeutic approaches in her work which are adapted to suit the needs of each client. These include cognitive-behavioural therapy and approaches based on attachment theory and child neurodevelopment, as well as other practical and theoretical models. Megan aims to work collaboratively with children, teens and their families to overcome difficulties through complementing and supporting their existing strengths and capacities. She is particularly interested in working with young people (and their parents) to overcome the numerous challenges presented during adolescence and assist them in developing the psychological resiliency required to manage adversity and change. Carolyn is a Psychologist with a First Class Honours degree from University of Adelaide and a Masters degree in Clinical Psychology from Flinders University. Carolyn has always been passionate about working with children, teens and families and this has been reflected in her previous positions and research pursuits. She has experience delivering support in clinic, homes and educational settings for the private and public sectors. In addition, she is currently publishing research which examined behavioural and cognitive outcomes of children born preterm. Carolyn uses individualised evidence-based approaches. She strives to meet the young person on their level and tailor therapy in a way which assists their personal learning and growth. She has a particular interest in supporting young people with physical health concerns, disordered eating, issues related to gender and sexuality, anxiety, depression and with navigating adolescence. Carolyn strives for children and teens to experience a greater connection to their developing identity, increased confidence and greater independence in managing their current experiences, so that they can achieve a fulfilling and meaningful life. Sarah is a Clinical Psychologist registered with the Psychology Board of Australia. She is a full member of the Australian Psychological Society. Sarah has been working as a psychologist in various clinical settings for the last 10 years. She has a psychology First class Honors degree and a Clinical Masters degree, both from the University of Adelaide. Sarah has additional training in several evidence based frameworks including Cognitive Behavioural Terapy (CBT) and Acceptance and Commitment Therapy (ACT). Early in Sarah's psychological career she spent time researching the contributors of well-being in adolescents. Since then most of Sarah's clinical work has focused on treating mental health concerns within the context of the family system. Sarah is experienced in treating a range of issues including addiction, anxiety, phobias, depression, obsessions and compulsions, suicidal ideation, self harm, relationship issues, body dissatisfaction, sleep difficulties, complex grief and trauma. Sarah has a keen interest in enhancing general well being and helping to build healthy relationships within families. She is passionate about helping young people to build effective psychological tools to manage the multitude of emotional issues that can arise throughout development. Monique obtained a Masters degree in Clinical Psychology from Griffith University. Monique’s training, research and experience has been focused on young people and their families. Monique is dedicated to providing support to young people by working through their current difficulties, with the aim to develop and build upon their strengths and increase their resilience and adaptability. Monique holds personal preferences for cognitive-behavioural therapy (CBT) and acceptance and commitment therapy (ACT). She also utilises mindfulness approaches in her work. Her therapeutic approach is tailored to the client and their needs, and is established in collaboration with the client and their family. For younger children Monique utilises play based interactions to ensure the process is engaged and developmentally relevant. She firmly endorses a child focused approach and aims to amply resource young people to be the best that they can be. Kate is a clinical Psychologist and a full member of the Australian Psychological Society. She has an Honours degree in Behavioural Science awarded from Flinders University and a Masters degree in Clinical Psychology awarded from the University of Adelaide. Kate has experience providing support to children and young people who are encountering difficulties with their emotions, adjustment, peer and/or family relationships, behaviour or learning, as well as supporting their families. Kate has gained knowledge and experiencing through working with children and young people with a wide range of medical conditions or disabilities and has specialist knowledge in the area of paediatric acquired brain injury. 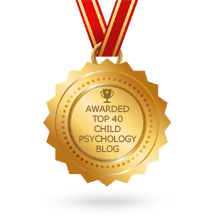 Kate draws on a number of evidence-based approaches, including Cognitive Behavioural Therapy, in addition to her knowledge of child development and paediatric neuropsychology, to assist in her understanding of the challenges children and young people face. This understanding allows Kate to tailor her therapeutic approach to suit each child or young person individually. Kate aims to work in collaboration with children, young people, and their families to assist them in building on their strengths and learning further skills to help them to manage the difficulties they are experiencing. Kate is passionate about supporting children and young people of all ages and enjoys using humour and play in her therapy sessions to facilitate children and young peoples’ understanding and engagement in the therapeutic process. France is a clinical psychologist and is a full member of the Australian Psychological Association. She has a psychology honours degree from Dalhousie University in Halifax, Canada and completed her Masters degree in Clinical Psychology at Griffith University on the Gold Coast. France has worked for many years with children, teens and their families to create a more positive family environment for everyone involved. With her warm and empathic approach, she engages well with her clients to help bring about successful therapeutic change. France has an ability to work with challenges occurring at any point in development, from the toddler years to adulthood, whether it may be surviving the terrible 2’s and 3’s, or school issues such as bullying and social skills. France is also skilled in assisting children and adolescents manage difficult emotions such as anxiety and depression, separation, and loss and grief. France draws on a range of therapeutic approaches to help manage these challenges such as CBT, Mindfulness, ACT, and Triple P (Positive Parenting Program). Suzanna is a registered psychologist with a First Class Honours degree awarded from the University of South Australia and a Masters degree in Clinical Psychology awarded from Flinders University. For nearly six years, in both private and public settings, Suzanna has provided therapeutic services to children and their parents or carers who experience a range of life challenges including anxiety, depression, grief, trauma, bullying, stressful family experiences, difficulties with anger and behaviour, body image, and attachment related difficulties. Suzanna also has a background in conducting and supervising research regarding the developing child and adolescent brain. Suzanna tailors therapy to meet the individual needs of clients, drawing from a range of therapeutic modalities (such as Cognitive Behavioural Therapy, Interpersonal Psychotherapy and Circle of Security ®) while also incorporating her knowledge of and passion for neurodevelopment and attachment theory. While all areas of child and adolescent therapy are of interest to Suzanna, she has a particular interest in child and adolescent anxiety and anger related difficulties, as well as helping young people foster stronger relationships with their families to enhance their wellbeing (including working with parents and carers to achieve these goals). Suzanna strongly believes in the importance of compassionate, collaborative and empathic psychology/family partnerships. She admires her clients for seeking support and feels fortunate to be able to work with young people to develop skills and gain further self-understanding in order to face life’s challenges. Kate is a Clinical Psychologist and a full member of the Australian Psychological Society (APS) and the APS College of Clinical Psychologists. She has a Psychology Honours degree from Flinders University and a Masters degree in Clinical Psychology from the University of Adelaide. Kate has 14 years experience working as a psychologist in a public mental health setting, specialising in working with children and young people (and their families) with a wide range of emotional, social, behavioural and relational difficulties. This has included young people experiencing difficulties such as anxiety, sadness, depression, self-harming, suicidal ideation, trauma, family and relationship issues, stress, developmental disabilities (including autism spectrum disorders) and behavioural challenges. Kate has a warm, empathic and compassionate therapy style and adapts her therapeutic approach to suit the individual needs of her clients and their families. Her work draws on a range of evidence-based therapeutic models and theories, including Acceptance and Commitment Therapy (ACT), Cognitive Behavioural Therapy (CBT), Play Therapy and Attachment Theory. Kate has always been passionate about supporting the emotional well being of children and young people and helping strengthen meaningful connections and relationships with friends and family to promote healthy development. She strives to help young people and their families make sense of their emotional struggles, build on existing strengths and strategies to manage the difficulties they are facing and develop new skills to tackle the challenges associated with navigating childhood and adolescence. Belinda is a Clinical Psychologist, a member of the Australian Psychological Society (APS), and a Fellow of the APS College of Clinical Psychologists. She previously held the role of Early Career Representative for the National Committee of the APS College of Clinical Psychologists. Belinda has a long-standing interest in Psychology, having completed her undergraduate degree (Psychology Major) at the University of Adelaide in 1992. She then worked in the area of finance and started her family, before returning to further study in the area of Psychology. She has a First Class Psychology Honours Degree and PhD (Clinical Psychology), both from Flinders University. During her studies Belinda co-authored several articles in peer-reviewed international journals in the area of body image. In the past Belinda worked as a Clinical Psychologist for SA Health at the Child and Adolescent Mental Health Service where her clinical work included providing therapy and conducting assessments with children, teens and their families, as well as liaising with educational and health care services to best support young people. Belinda’s therapy style is eclectic but individualised, drawing on evidence based theories. Her style includes a blend of Cognitive Behavioural Therapy (CBT), Acceptance and Commitment Therapy (ACT), mindfulness, and Attachment Theory. She has a particular interest in the area of anxiety disorders. Belinda strives to make the therapy process an enjoyable one for her clients, and has an appreciation for the importance of a systems-focus when working with young people and their families. Lauren is a Clinical Psychologist with a first class honours degree and a master’s degree in Clinical Psychology from the University of Adelaide. Lauren is a warm and compassionate therapist who endeavours to ensure that all her clients feel understood and supported. Her aim is to build on the strengths of the young people and families she works with and assist them to learn practical strategies to improve their wellbeing. Lauren also has experience in child protection, and has a particular interest in working with children and young people who have experienced trauma. Lauren utilises a range of evidence-based approaches, including cognitive behaviour therapy and acceptance and commitment therapy. She also draws on her knowledge of child development, attachment based approaches and family therapy. Julianne is a Registered psychologist with the Australian Health Practitioner Regulation Agency (AHPRA) and a member of the Australian Psychological Society. She is a strong advocate for the mental health and well-being of children and their families. As a psychologist working in private practice for many years, Julianne has worked extensively with children, adolescents and their families across a range of issues, in particular: Autism Spectrum Disorder, anxiety, depression, challenging behaviours, school difficulties, school refusal, selective mutism, social difficulties and family relationships. Julianne understands the stress that behavioural or emotional difficulties can bring to a child or adolescent’s life and how this can impact on their family life, relationships and learning ability. She is highly motivated to assist children, adolescents and families in need and to support them through life’s challenges. Julianne specialises in a client-centred, collaborative approach using the following Interventions: Cognitive Behavioural Therapy, Acceptance and Commitment Therapy, Mindfulness and Counselling. Julianne is also an accredited ‘Circle of Security’ parent trainer and has completed ‘Marte Meo’ training (Practitioner Level) and aims to assist parent and carers to build on their strengths, assist with skill development and to enhance positive parent-child relationships. Julianne is also a registered Early Childhood teacher and has been the Director of the Flinders Medical Centre Community Childcare Centre for over 30 years. She works extensively to support young children’s emotional and social development. Julianne also works collaboratively with parents, carers and childcare staff to help the children in their care develop emotional regulation skills, emotional resilience, social and problem-solving skills, independence and self-confidence. Julianne’s great enjoyment is engaging with children and adolescents and aims to develop a positive relationship with both them and their families in order to help them work towards their goals. She understands that children and adolescents are a part of a broader social network, including their family, childcare centre, kindergarten or school and will work collaboratively to ensure that they are understood and supported as much as possible. Chelsea is a Psychologist with a First Class Honours in Psychology and is currently completing a PhD in Clinical Psychology, both at Flinders University. She is a member of the Australian Psychological Society (APS), the APS College of Clinical Psychologists and Healthy Development Adelaide. Chelsea is passionate about working with children, teens and their families. She has research expertise in child and adolescent sleep and a strong research interest in cognitive development. Chelsea has published several papers on sleep in childhood and adolescence and has presented her work at national and international conferences. She has extensive experience delivering sleep therapy to children and their families. Chelsea also has experience working with young people with anxiety, depression, behavioural difficulties and eating disorders. She believes that working as a team with the child and their family is extremely important and tailors therapy to best suit the child’s needs for development and growth. Chelsea strives to work with the young person’s values and strengths to provide them with the skills to manage challenges independently. Fiona is a clinical psychologist. She obtained a Clinical PhD (combined Masters and PhD degree) from Flinders University. Fiona has been providing therapeutic services to children and their parents/carers for the past eight years in both the public and private sector. She has worked within schools, providing therapy to children and their families, as well as working closely with teachers and other school staff. She has spent time conducting assessments for developmental and learning disorders and also time in Early Childhood, working with very young children and their families/caregivers. Fiona also has a background in conducting research and teaching at University level in areas of child trauma, child development and psychological assessment. She has previously had a strong research interest in therapeutic services for children and adolescents following traumatic accidents. Fiona incorporates a range of therapeutic modalities, dependent upon the needs of the child, but has a preference for Cognitive Behaviour Therapy and Attachment Therapies. She also utilises Mindfulness and Acceptance and Commitment Therapy approaches in her work. While Fiona has an interest in all areas of child and adolescent therapy, she has a particular interest in child and adolescent anxiety, autism spectrum disorders and difficulties following traumatic events (such as accidents/injuries). Fiona enjoys working closely and collaboratively with parents and caregivers to assist them to better understand their child’s needs and to more effectively support their child’s emotional and behavioural development. Trecia has worked as a family and individual counsellor for over 20 years and a Psychologist for 12 years. She has a Graduate Diploma in Counselling Psychology from the Royal Melbourne Institute of Technology and a Graduate Certificate in Narrative Therapy from the Dulwich Center, Adelaide. Trecia is also an accredited Circle of Security Parent Educator. Trecia specializes in working with children and teens, with a strong focus on supporting the family/caregiving system in which children and teens grow and develop. Trecia is also an experienced group facilitator and has facilitated therapeutic groups for children, young people and parents. Trecia applies evidence-based approaches in her work and this includes play therapy, cognitive behavior therapy, attachment focused therapies, acceptance and commitment therapy (ACT), compassion focused therapies, and mindfulness approaches. She is committed to life-long learning principles and continuous professional development. Maintaining currency in her psychological professional development ensures she keeps her knowledge and skills current to maximize the support she is able to give. Trecia enjoys helping children, teens and families to find strength and meaning through life’s inevitable challenges; and to build their inner and outer resources to maximize health and wellbeing.